Beverly Marie Freemon was born on December 5, 1943, in Waterloo, the daughter of Denzil and Vada (Prindle) Miller. She graduated high school in Waterloo. On December 18, 1965, Beverly was united in marriage to Charles Freemon. The couple lived in several towns in northeast Iowa before settling in Dysart. Beverly worked at the Hawkeye Restaurant in Dysart and John’s Qwik Stop in Dysart until her retirement. 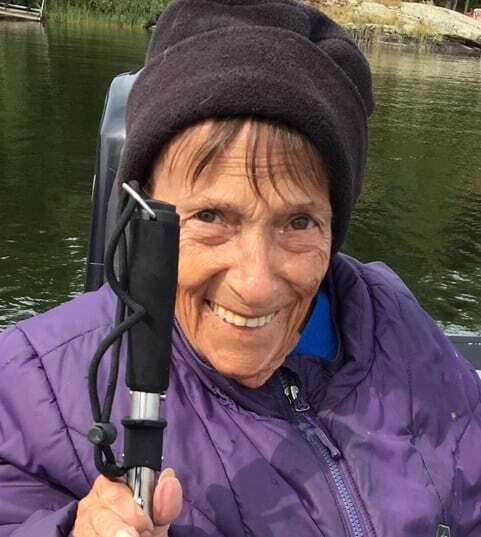 She loved fishing, drinking coffee, watching westerns, playing Bingo, and spending time with her grandchildren. She was preceded in death by her parents; her husband; a son, David; two brothers, Jim and Lee Miller; and a sister, Donna Miller. Beverly is survived by two sons, Darrell and Dwaine (Tricia) Freemon both of Dysart; four grandchildren, Jeremy, Houston, Alley, and Marissa Freemon; two great grandchildren, Lucas and Dom Freemon; a sister-in-law, Marlys Miller; and several nieces and nephews. Please direct memorials to Beverly’s family.